Fall in love with this fun summer read about two broken-hearted people who find their happily-ever-after in the most unexpected place. This story will pull at your heartstrings! 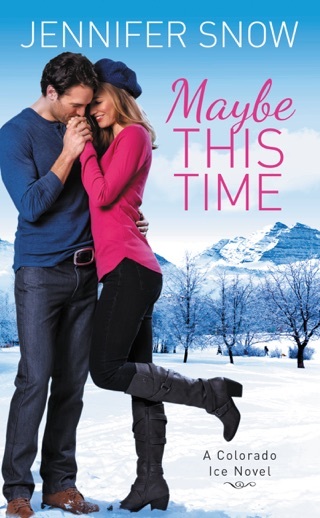 Paige and Owen both have tragedy in their pasts and looking for a way to forge a future. This story is very well written and the characters will speak to you and make you feel what they are going through. At times it broke my heart while also putting a smile on my face! Loved it!! 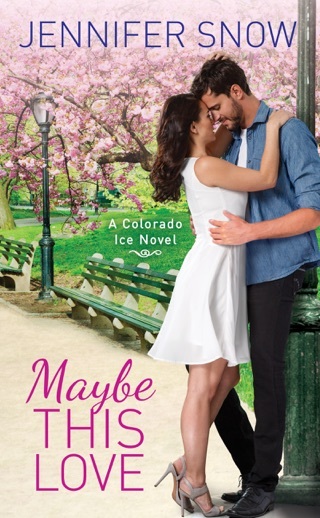 Maybe This Summer by Jennifer Snow is a heartfelt and wonderful read. After a horrible assault, Paige Adams’ life changed. She began a new life working for the Burn Treatment Center at the Colorado Hospital. Colorado Avalanche's team mascot, Owen McConnell, is used to be ignored when he is with his NHL buddies. However, after meeting Paige, he is determined to get her attention. This contemporary romance is suitable for adult audiences. Jennifer Snow does an admirable job with her character development. Owen is a noble character. He is a former NHL star. Later, he was injured after serving his country in the Marines. He is no longer able to work in either profession. He is currently the PR manager and mascot for the Colorado Avalanche. He is a good guy, with a big heart. I like that he is persistent and hard working. Paige is an amazing character. She was left scared both physically and mentally after a horrible attack. She began a new life helping burn victims. I know someone who had over 80% of his body burned at the Pentagon on 9-11, so this story captured my attention and felt relevant. I love that Paige decided to help others that have suffered like her. I enjoyed the plot. I appreciate that these two come into each other’s lives. They are both strong and have a lot in common. They both know what it is like to have your life altered after an injury. 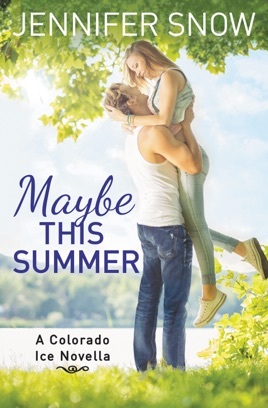 MAYBE THIS SUMMER is genuine and sweet read. The story is well-written and entertaining. The characters face some interesting challenges that enable them to grow throughout the novel. I like how the story ended. It was a fun and well concluded. I voluntarily reviewed an advance reader copy of this book. What I love the most about Jennifer's books are the smart, realistic characters. What I also love the most is how the story pulls you in from page 1 and ya can't put it down. This story is no exception! I felt for Owen right from the beginning. Injured while in the Marines, he had to give up his hockey career due to the injury. As you can imagine, that dealt his self-esteem a major blow. It seemed he was pulling the short straw, so to speak, and I was really rooting for him! Similarly, Paige had her own story which left her with issues of her own (won't spoil it for ya). She presented a very tough exterior, and I honestly wasn't sure how to feel about her at first, but as the story went on, I was really rooting for her too! All in all, and true to form, this was a perfect ".5" addition to the series, and I can't wait to read the next book in the series!